On August 10, 2016, in Litigation, Motor Vehicle Accident, Personal Injury, by John A. Weber IV, ESQ. 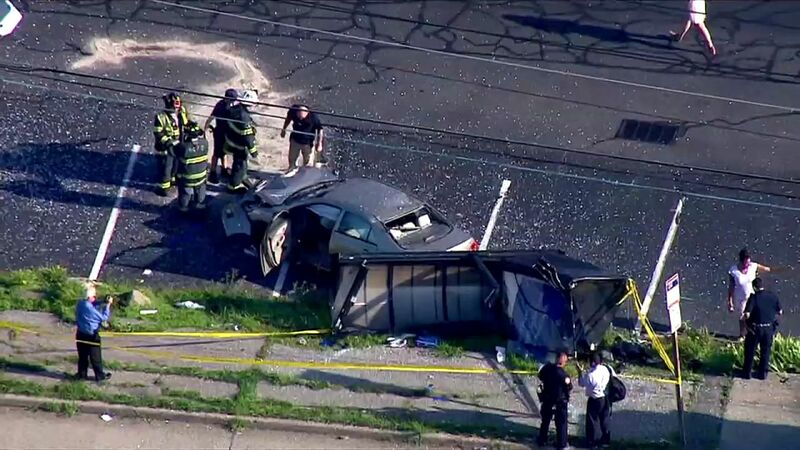 An out of control car caused a Nassau County bus stop crash. Four people were injured in the crash as reported by News 12. Faulty equipment and failure to maintain a motor vehicle can lead to accidents like the one in New Hyde Park when a blown tire caused a car to crash into a bus stop. People may not realize that, depending on the reasons for the tire failure, the owner and driver can be liable for injuries caused by faulty equipment or maintenance failures in New York motor vehicles. Many times, car crashes and the resulting liability is clear cut. Other times it is very difficult to determine where the fault lies in car crashes. Juries are taxed with the burden of deciding how to apportion fault in personal injury trials. It is almost impossible to predict jury outcomes and any lawyer will tell you that. Therefore it makes logical sense to spend time maintaining your motor vehicles and do your very best to avoid preventable car crashes. If you or someone you are concerned about have been injured in a motor vehicle accident of any kind, call the Law Firm of Vaughn, Weber & Prakope, PLLC at 516-858-2620 today. Remember, successful litigation is no accident. On August 8, 2016, in Criminal, Litigation, Message/News Board, Motor Vehicle Accident, Personal Injury, by John A. Weber IV, ESQ. A pedestrian knockdown is one type of personal injury case that is growing in number on Long Island. A pedestrian knockdown is when an individual is struck by a motor vehicle and suffers injuries. A pedestrian knockdown does not necessarily imply criminal conduct such as that in a hit and run, texting while driving or DWI incidents; although they can. Often times, pedestrian knockdown cases arise out of nothing more than a mere accident. Just the latest example of this type of accident occurred in Copiague and was reported by News 12. Whether arising out of criminal conduct or not, pedestrian knockdown cases almost always result in personal injuries. It is common sense that the human body is not built to withstand an impact from a motor vehicle in motion. Therefore, when a pedestrian knockdown occurs, the victim has anxiety and a lot of questions. It is important to understand that a personal injury attorney can assist you in answering questions such as how to seek medical advice, whose insurance pays for medical treatment, how liability for the accident is assessed and determining if a personal injury lawsuit should be commenced. Having answers to these questions will allow the victim to focus all of their energy on recovering and calm the concerns of their family. Most people often underestimate the importance of consulting with a personal injury attorney. It is important to remember that being injured in an accident is very traumatic and scary. The experience is exacerbated by not knowing how to handle the “fall-out” from the accident or lessened by having people around you who do. If you or someone you are concerned about have been injured in a motor vehicle accident of any kind, especially a pedestrian knockdown, call the Law Firm of Vaughn, Weber & Prakope, PLLC at 516-858-2620 today. Remember, successful litigation is no accident. On March 21, 2016, in Litigation, Motor Vehicle Accident, Personal Injury, by Timothy B. Prakope, Esq. It seems like everyday we see terrible MTA bus accidents that involve serious life changing injuries. 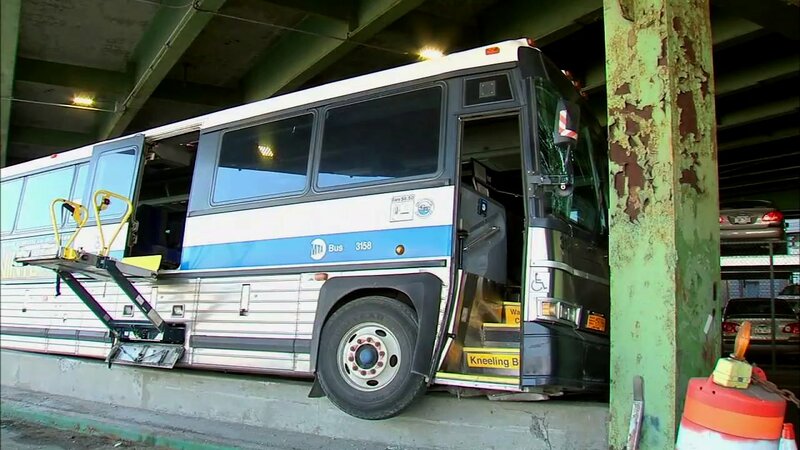 At least ten people were injured in New York City when an MTA bus smashed into an overpass as it jumped the curb. You can read the ABC New York, channel 7 story here. Innocent MTA bus passengers are injured when MTA bus drivers that are supposed to be watching the road drive negligently. Under New York law, when an injured person has a claim against the MTA, the city of New York, or other government agencies, you must file a Notice of Claim with the city within 90 days after the accident. The Notice of Claim must have sufficient detail for the city to investigate your claim and prepare for litigation. A previous article on this website, found here, may add incite to the Notice of Claim process. Personal injuries caused by negligence on the part of municipalities, their departments like the MTA or the employees of municipalities can result in sizable compensation. Liability for these personal injuries obviously play a large role in the strength of a case and damages (the type and extent of the injury) as always will determine the amount of compensation that will be awarded to the victim. Having the right legal representation could mean the difference between recovering a monetary award for your injuries and dismissal of your case. Taking the time to find an attorney that you are comfortable with and who understands the nuances of personal injury litigation is an investment that can pay off big in the long run. If you or someone you are concerned about have been injured in a motor vehicle accident of any kind, especially one involving the MTA or another municipality, call the Law Firm of Vaughn, Weber & Prakope, PLLC at 516-858-2620 today. Remember, successful litigation is no accident. On March 13, 2016, in Criminal, Litigation, Motor Vehicle Accident, Personal Injury, by John A. Weber IV, ESQ. A motor vehicle accident in Kings Park seriously injured a passenger and resulted in a DWI charge for the driver. The passenger was taken to the hospital by helicopter. The driver’s arraignment will take place in Central Islip’s First District Court today. DWI’s remain a very serious problem on Long Island. The passenger injured in the accident will be permitted to file a No Fault insurance claim through the insurance of the vehicle he was riding inside. This passenger may also be able to recover compensation for his injuries in a personal injury lawsuit. Compensation for such an accident will require litigation. In motor vehicle accident cases, it is also necessary to explore umbrella insurance coverage because often times the policy limits for the vehicle are insufficient to make the victim whole again. Asset searches should be explored in the event that all insurance coverage options are lacking. Although the well being of the victim is always the primary concern, it is important to know your rights if you are unfortunate enough to be the victim of a DWI or DUI related accident. To get a fuller perspective, this story is available on Newsday.com authored by Lisa Irizarry, and News 12 Long Island. The epidemic of DWI and DUI incidents on Long Island does not seem to be subsiding and injuries and fatalities are still a concern. Personal injury and wrongful death actions are regularly commenced in Nassau and Suffolk County Courts because Long Island roads are still filled with drivers who have had too much to drink before getting behind the wheel. Hopefully, this will change in the near future; but for now, knowing your rights are the best we can settle for. If you are arrested for a DWI or injured in a DWI related crash, please call the Law Firm of Vaughn, Weber & Prakope, PLLC at 516-858-2620 to speak to an attorney who can help you today!